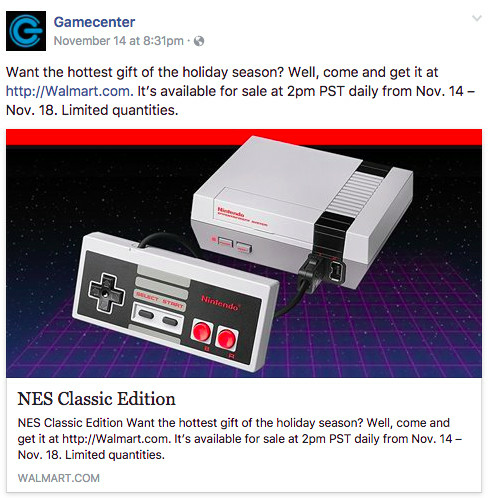 Walmart promises it will have available NES Classics to buy for $59.96 until Friday. The store chain took to Facebook earlier this week to announce that once a day, starting at 5 p.m. ET each day, the online store will open the floodgates to people that want to purchase the hard to find retro console “while supplies last.” The store guarantees some availability each day, but not how many will be sold. You can find the item, when the sale kicks off each day, right here. Don’t worry about the current asking price listed, which shows third-party sellers. 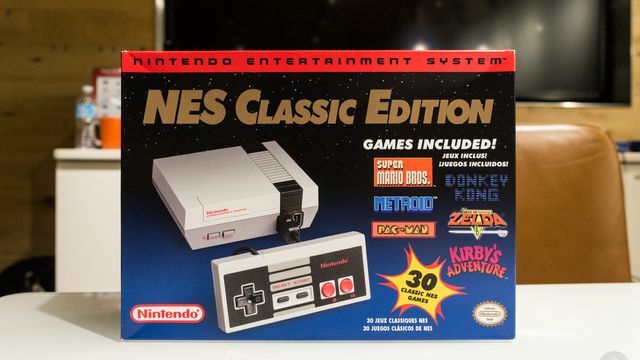 Released last week, the console sold out at most U.S. stores within minutes of opening. And the console continues to pull more than triple the original price on services like eBay. While U.S. fans of the console continue to hunt for an opportunity to buy the sold out NES Classic, stock is not as barren in some other countries. One store in Mayalsia, for instance, took to Facebook to post a picture of the more than 100 it received. As of yesterday, it still had more than 50 in stock.